In the world of tennis, it all starts with the serve. Quite literally. Careers, seasons, tournaments, matches, sets, and points are all initiated by the player who is serving. Given the importance of the serve in tennis, it’s no surprise that a decent serve is a must-have for every pro on the tour. The development of new racket technology in rackets and improved fitness of today’s players have made it much easier for returners to take advantage of weak serves. In contrast, an elite serve can earn numerous “free points” and give players an upper hand in any match. 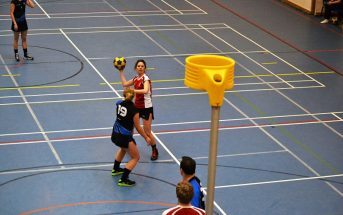 On the extreme end of the spectrum, there are some players whose serves are considered to be too effective, so much so that their serve is the only good thing about their game. These players are labelled “servebots” by fans today. With that out of the way, let’s take a look at some of the greatest serve-bots in tennis. 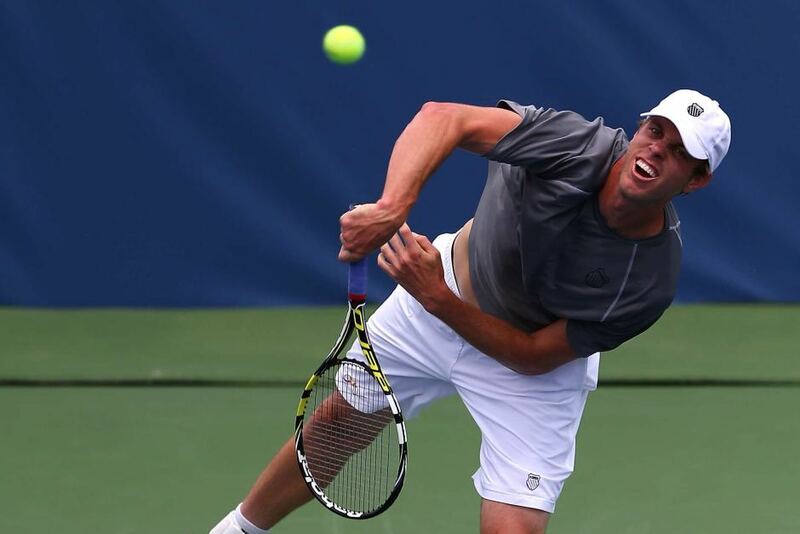 Americans tend to be pretty good at serving, and Sam Querrey is no different. 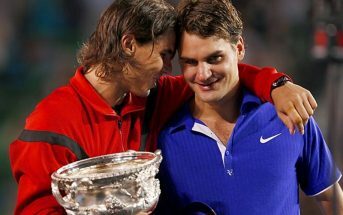 He holds the record for the most consecutive aces in a match (10 against James Blake in 2007). While Querrey is a popular figure within American tennis, he is also seen as something of an underachiever, in the light of his well-balanced game. Just about every American male brings a terrific serve and a pile-driving forehand to the court – this seems to be the legacy of their baseball-heavy upbringing – but Querrey’s backhand also has excellent feel. A big feature for Raonic on serve is the easy motion he seems to have. It is hard to believe that he is generating the power of a 150mph plus serve from his action. He is also nerveless in the big moments on serve and consistently is one of the fastest on serve. Raonic hit his fastest career serve in front of an expectant and excited home crowd at the Rogers Cup in 2012. At 249.9 km/h, it launched him into the Top 5 of all-time and cemented what fans thought of what was one of the best serves around. 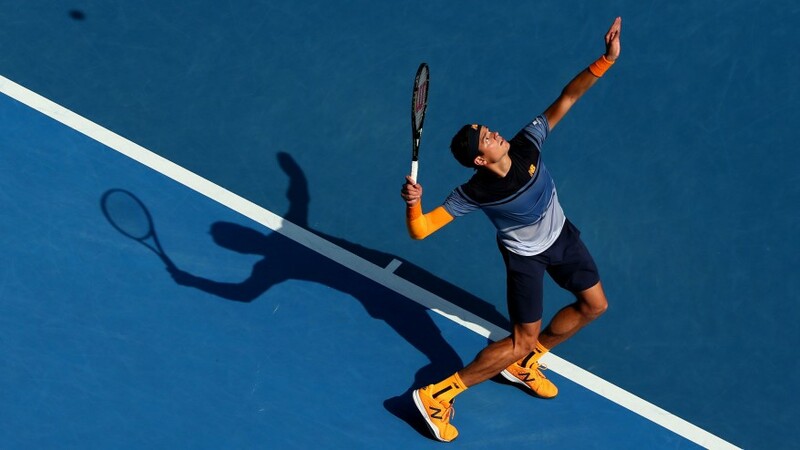 The Canadian’s serve is the biggest reason why many see him as a future Grand Slam champion. Whilst there are still areas of his game that need to be brought up to a similar level, his serve has already enabled him to enjoy some huge success on tour. Indeed, the fact that Raonic’s recent statistics include a higher quantity of clashes against better opponents in bigger matches than the other men on this list, makes it all the more impressive. 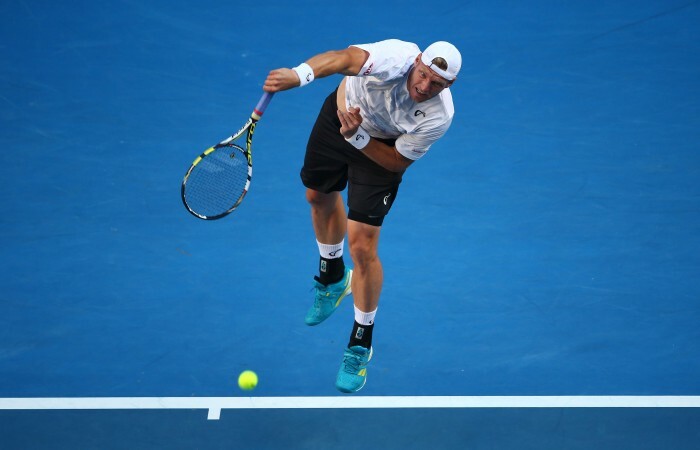 Australian Groth has the honour of hitting the fastest recorded serve in tennis history and at 263.4 km/h – a truly spectacular feat of human physicality and is going to take some beating. He hit the headlines again for his serving at Wimbledon in 2015, choosing the biggest stage of all. Centre Court at Wimbledon against Roger Federer, to fire in a 147mph bomb. Federer has a reputation for neutralising fast serves, but this, the fastest serve of 2015 and the second fastest in Wimbledon history, went straight through him. While Groth hasn’t been around long enough to compete with the rest of the list, he certainly has made a huge impression in such a short span of time. The phrase ‘serving out of a tree’ was coined for this man. Karlovic holds the record for the fastest serve ever recorded, having been clocked at 156mph during a Davis Cup doubles match. The pace isn’t the only problem facing his opponent, though. In fact, the height and subsequent angle of the ball’s bounce are perhaps even more problematic. Karlovic recently hit his 10,000th career ace, which might suggest that he has a consistently potent serve. At an incredible 6’11”, he is the tallest player on tour, giving him a huge advantage when it comes to serving. He will end his career with the highest number of aces of all-time and if you have seen him serve, that will be no surprise. He combines pace and placement so well on serves and when you add in the angle the ball is coming down the returner, he rarely gets broken. When you see a match with Karlovic, you can expect tie breaks with a delivery that is so dominant. The only thing keeping Karlovic from topping this list is his relatively poor second serve. While one could never classify it as a weak second delivery, it suffers by comparison to the first serve. Perhaps the most astonishing aspect of John Isner’s serving is his first-serve percentage. Of course, the 6’10” American’s height gives him a great advantage in that regard, widening the service box, but to be so consistent when hitting at such speed is freakishly good. Isner also holds many serving records thanks to his historic 11-hour epic with Nicholas Mahut at Wimbledon in 2010, when he hit 113 aces and held serve a whopping 84 consecutive times. 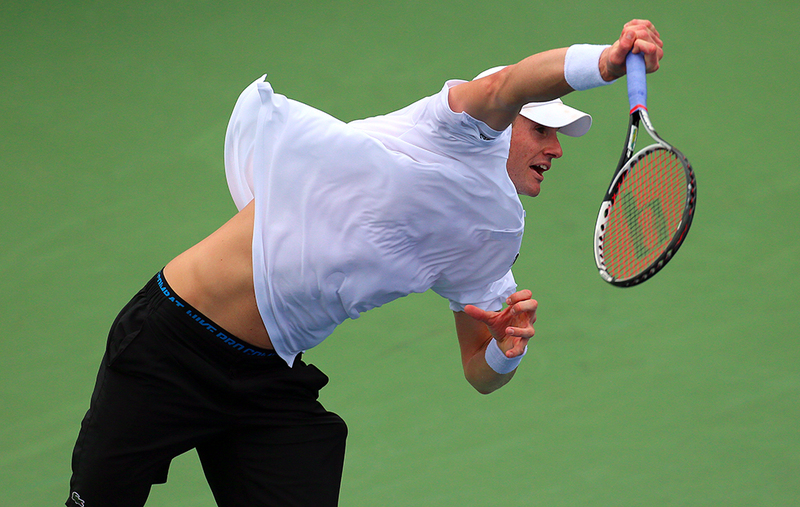 John Isner possesses the best all around serve in the game’s history. 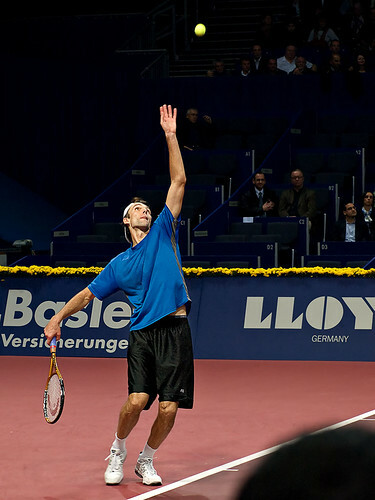 Karlovic may have a marginally better first serve than the 6’9″ Isner, but the true difference here is the second serve. Isner’s kick serve on the second delivery is more potent than most first serves, routinely exploding off the court and over his opponent’s head. Like Sampras, Isner arguably hits two first serves. His serve is a remarkable weapon, made all the more so because of its consistency.